Co-founder Miss La-Vida notes; "There are few places where the public can go to find a variety of vintage style products, services and experiences all under the same roof." With that in mind, Alexandra Park will be transformed into a hotspot for all things vintage; fashion, homewares and even vintage-inspired entertainment. There's also going to be seminars and classes educating the public on topics like retro makeup, charleston dancing and more, as well as a Miss Vintage pageant. 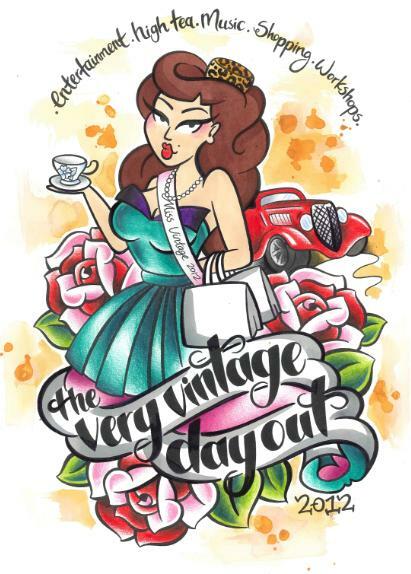 The Very Vintage Day Out takes place on the 14th of April at Alexandra Park. Tickets are $25 and can be purchased from iTicket. I'll be heading along with Britney for the day, so comment below if you're attending and be sure to say hi! 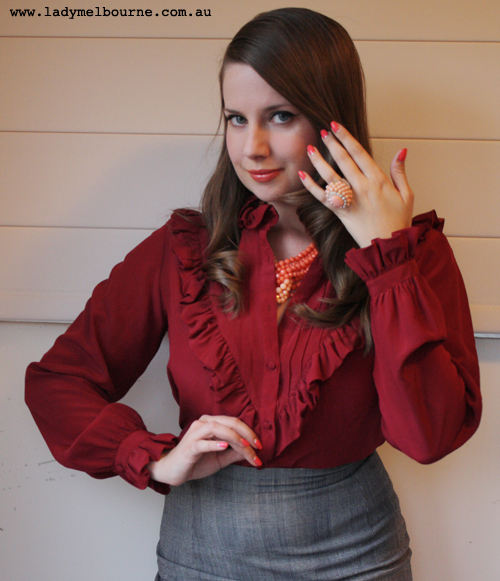 Lady Melbourne in a fabulous vintage shirt from this post. Vintage inspired homewares from this post.